Born in Liverpool Janet won a scholarship at the age of 15 to the Royal Manchester (now Royal Northern) College of Music, where she studied clarinet and singing. Another scholarship took her to Vienna for postgraduate study. Her international solo career has taken her all over Europe and to Canada and the USA, where for eighteen years she was a member of the Michigan-based Fontana Ensemble. Janet’s extensive discography (recorded for Chandos, ASV, EMI, BBC Classics, Clarinet Classics and Naxos) includes concertos by Weber, Copland, Nielsen, Stanford, Malcolm Arnold, Gerald Finzi and four concertos written for her by John McCabe, Elizabeth Maconchy, Edward Harper and Alun Hoddinott. Janet’s orchestral career has included positions as principal clarinet of the Scottish Chamber Orchestra , Welsh National Opera, Kent Opera and Manchester Camerata. 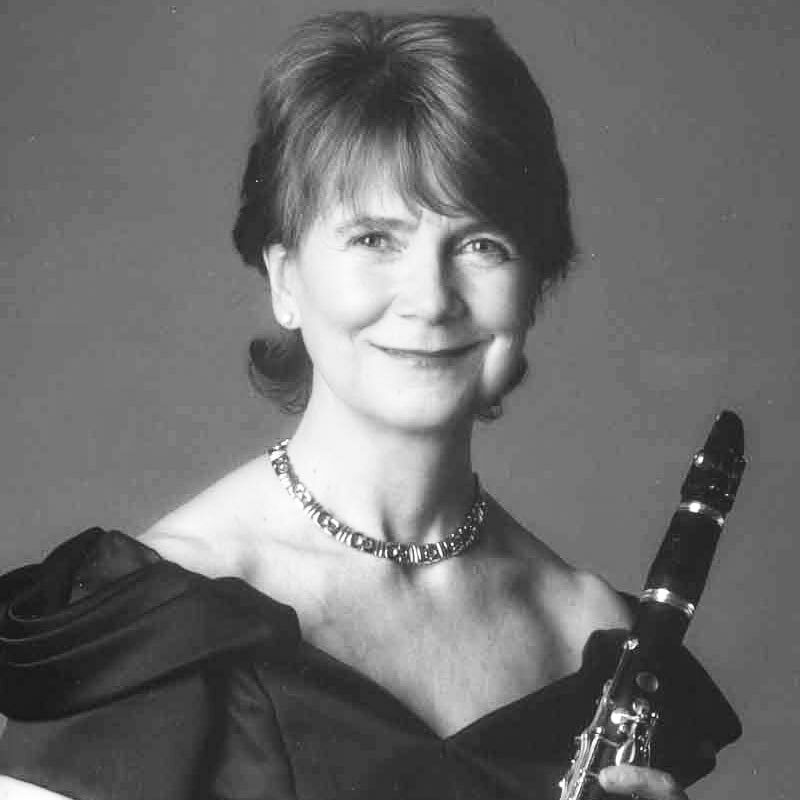 A distinguished teacher, Janet has taught at the Royal Scottish Academy of Music and Drama, the Royal Northern College of Music, the Birmingham Conservatoire and for twelve years was Head of Woodwind at the Royal College of Music London. She continues to teach the clarinet and coach ensembles at the RCM and to serve as external examiner for other colleges. Janet is in demand internationally for concerts and masterclasses and maintains a schedule of concerts in Great Britain and abroad. Janet Hilton is a Fellow of the Royal College of Music and of the Birmingham Conservatoire.